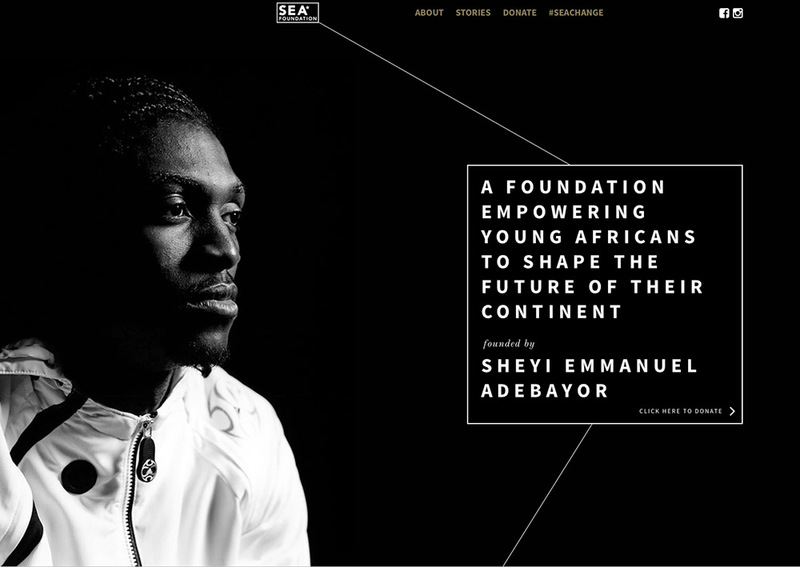 My portrait of Premier League footballer Emmanuel Adebayor is part of the brand identity of Adebayor’s ‘SEA Foundation’. ‘I want to do everything I can to make my country and my continent move forward. Adebayor is currently at Tottenham Hotspur, and previously played for Arsenal, Real Madrid and Manchester City. He was voted African Footballer of the Year for 2008, and is currently Togo's all-time top goalscorer.